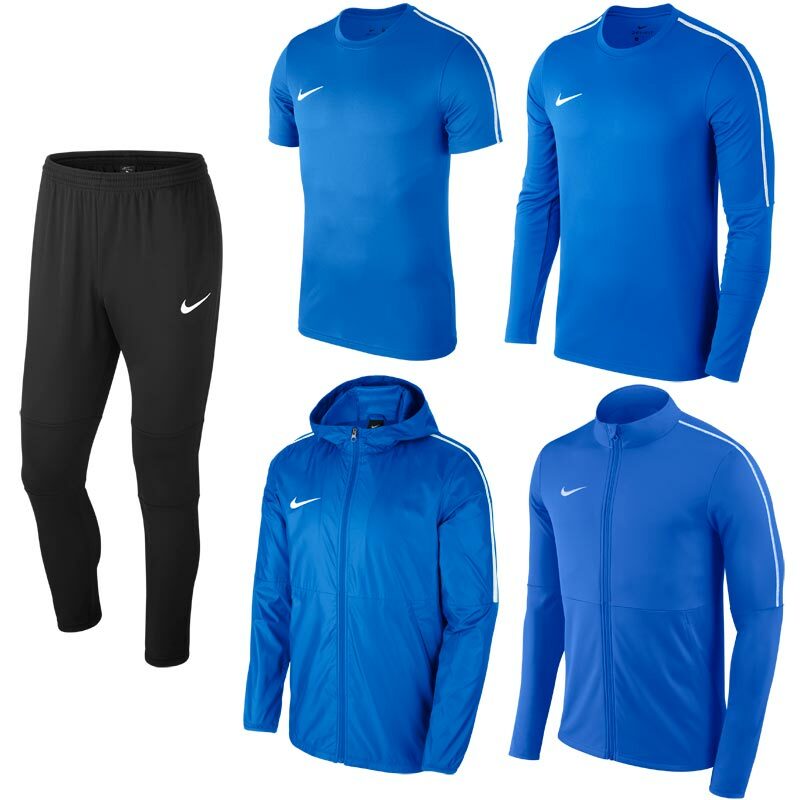 Nike ® Park 18 Bulk Pack, is a great value for money five piece bundle that is designed for players on and off the field. The garments all have Dri-Fit technology that keeps you dry and comfortable in the winter months and advanced breathability during the summer. Please refer to the size guide - if ordering a medium all the sizes included in the pack will be a medium (more info on the full size guide). 1 x Nike Park 18 Pant Black. 1 x Nike Park 18 Short Sleeve Training Top Royal Blue. 1 x Nike Park 18 Long Sleeve Crew Top Royal Blue. 1 x Nike Park 18 Jacket Royal Blue. 1 x Nike Park 18 Rain Jacket Royal Blue.